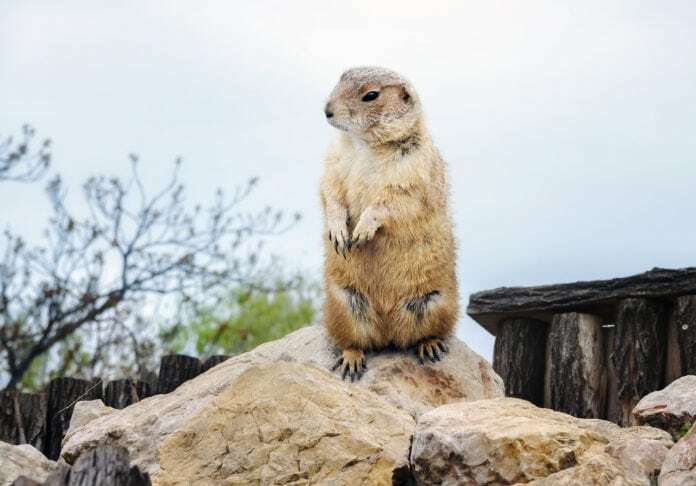 The Dallas Arboretum and Botanical Garden will host their first Groundhog Day celebration Feb. 2 in A Tasteful Place garden. The public is invited to join in the fun from 7 to 9 a.m. Sat. morning to see if resident groundhog, Arboretum Annie, sees her shadow. The shadow watch is free with paid garden admission ($5 Feb. 1-22). on Saturday, February 2, 7:00 to 9:00 a.m., in its newest garden, A Tasteful Place, which overlooks White Rock Lake and the Dallas skyline. Those interested in joining the shadow-watching festivities are invited to attend for free with paid garden admission. General garden admission is $5 February 1 to 22. Guests are encouraged to wear any type of hat (Texas-style for Groundhog Day) for a hat contest. Materials will be provided on site, and attendees are welcome to further embellish their hats. At the end of the event, a hat contest winner will be announced and will receive a prize. According to folklore, if a groundhog comes out of hiding and sees her shadow, she will be scared and run back inside, meaning six more weeks of winter. If she doesn’t see her shadow, spring arrives early, which for the Arboretum would be just in time for Dallas Blooms. Themed Life’s A Picnic, the spring festival, presented by IBERIABANK, opens February 23 and runs through April 7. Groundhog Day guests are encouraged to come as early as 7 a.m. There will be breakfast items and beverages available for sale. After the sun rises at approximately 7:22 a.m., Colleen Coyle, WFAA Channel 8 meteorologist and emcee, and Robin Carreker, Dallas Arboretum Public Events board chair, will release Arboretum Annie to see if she sees her shadow. After that, guests are welcome to take selfies with the famous groundhog, make groundhog crafts and watch the iconic “Groundhog Day” movie with Bill Murray. For those who would like to participate, up to 200 words can be sent to sjackson@dallasarboretum.org or sent to the Dallas Arboretum (8525 Garland Rd., Dallas, TX 75218). The deadline for submission is January 29. The Dallas Arboretum and Botanical Garden is located on the southeastern shore of White Rock Lake at 8525 Garland Road, Dallas, Texas 75218. February 1-22, general garden admission is $5. The Rory Meyers Children’s Adventure Garden is closed through February 22 for preventative maintenance. On-site parking is $15, or $9 if purchased in advance online. The Dallas Morning News is the principal partner of the Dallas Arboretum. The Arboretum is supported, in part, by funds from the Dallas Park and Recreation Department. WFAA is an official media sponsor for the Dallas Arboretum.